First I visited Instituto Nacional de Pesquisas da Amazonia (INPA) and had the meeting with Dr. Vera da Silva and prepared for the 1st International Network Workshop on Tropical Biodiversity Conservation which was organized by INPA and Wildlife Research Center of Kyoto university. After that I attended this workshop and made the oral presentation. The title of our presentation was "Underwater behavior and habitat use of Boto (Inia geoffrensis) recorded by passive acoustic methods". 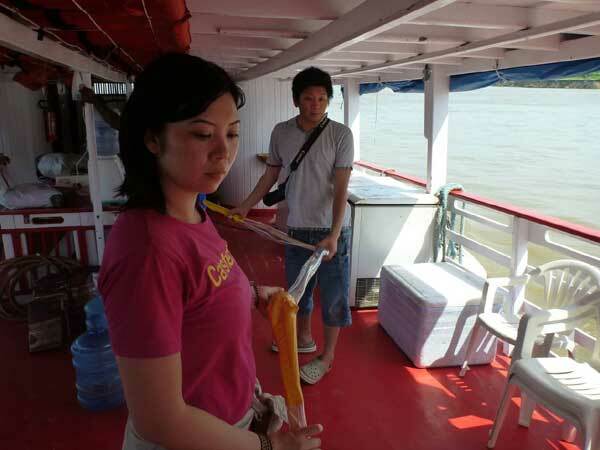 After the workshop, I joined the study tour of Amazon with other Japanese participants. We visited the research field of Amazon river dolphins and the experimental forest managed by INPA named Adolpho Ducke. During the study tour, I recorded the clicks and vocalization of free-ranging Amazon river dolphins by the stereo acoustic data logger and handy hydrophone. 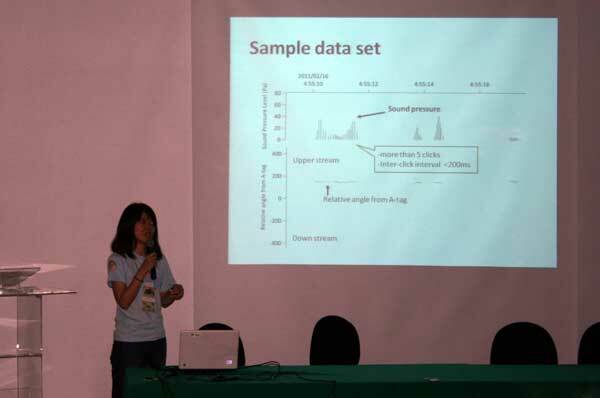 In this trip, I attended the workshop in Manaus and succeed to getacoustic data of boto in the field and achieved the objective of this trip. Preparing for recording clicks of boto. The recording system was inside the tube.